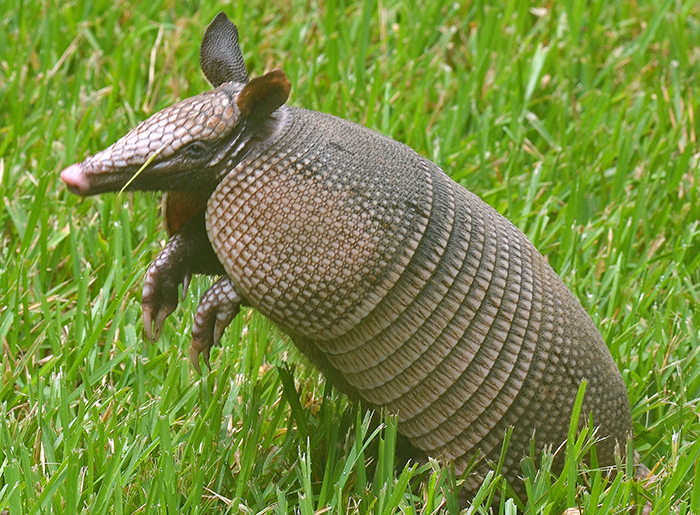 Armadillo is Spanish for "little armored one" but German setllers in Texas called them "Panzerschwein". 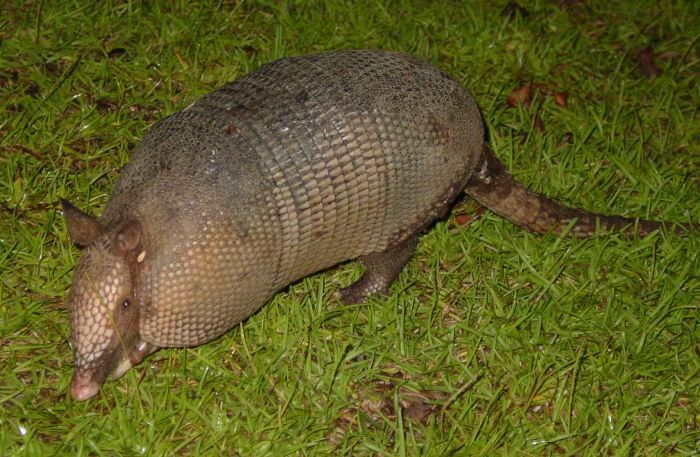 When I took these photos, the armadillo ignored me for a rather long time and then suddenly run away. The small photo was taken way back on 7/4/2004 around 11 pm.